Therefore, empowering your employees with a user-friendly enterprise video content management system (EVCM) that single-handedly manages video – from upload, processing, and streaming to storage, playback, and distribution - is the key to establishing a video-enabled organizational culture. Within the entire video management process, one of the greatest values of an EVCM is to empower your employees to create videos. The simpler the user experience of capturing, ingesting, and uploading videos, the easier it will be to boost video use across the organization. For this reason, VIDIZMO enterprise video content management system simplifies video capture and upload which also serves to facilitates the remainder of video management within the platform. With broad-ranging support for all industry-acclaimed video file formats, VIDIZMO supports video capture and ingestion from any video camera or recording device. All uploaded videos are encoded into multiple pre-configured formats (MPEG4, HLS, WebM and Microsoft Smooth Streaming) and resolutions (1080p, 720p, 480p, 360p, 240p) to allow playback on various devices, browsers, and bandwidth conditions. VIDIZMO application offers the same functionalities across all user devices, including desktop, laptop, smartphone, tablets, etc. Accordingly, VIDIZMO supports video ingest and upload from any device, with the user interface optimized for each device. Additionally, VIDIZMO mobile application for iOS and Android allows users to shoot, capture, and upload video directly from your mobile phones and tablets. VIDIZMO provides out-of-the-box integration with various online meeting or video conferencing tools, including Skype for Business, WebEx, GoToMeeting, Cisco TelePresence, Polycom RealPresence, as well as collaboration systems like Microsoft Teams, Facebook Workplace, SharePoint, Sitecore, Jive, Yammer, etc. An essential part of this integration is to transfer video and other media files from the third-party systems into VIDIZMO for storage, transcription, search, and distribution across teams or organizational units and overall video content management. As a result, large volumes of files from integrated collaboration and meeting platforms are automatically transferred and uploaded to VIDIZMO ‘watch folder’ individually or in bulk. For screen recording, VIDIZMO uses a range of third-party screencast or screen capture software, including Camtasia, OBS, Captivate, Articulate, CamStudio, etc. Screen capture tools like OBS and Camtasia also support talking head video presentations along with the screen capture video, which makes the screencasts (live or on-demand) more interactive and engaging. Screen capture videos are excellent for recording training sessions right off the computer screen, while also documenting transferrable skills from a company’s subject matter experts or for new hire training. Upload all digital media, not just videos – VIDIZMO supports capture of all media types, including videos, audios, images, documents, slides, interactive graphics and SCORM. Upload single or bulk video/ media files: A user can upload various videos and digital media files in bulk, with the option to edit similar media types collectively. For instance, multiple concurrently uploaded videos can be assigned metadata and video publishing policies collectively, which is a significant time saver for those uploading large volumes of media at once. Upload from any device or browser: A user can simultaneously upload media from any device, be it desktops, smartphones or tablets using any browser, including Chrome, Safari, Firefox, Bing, etc. 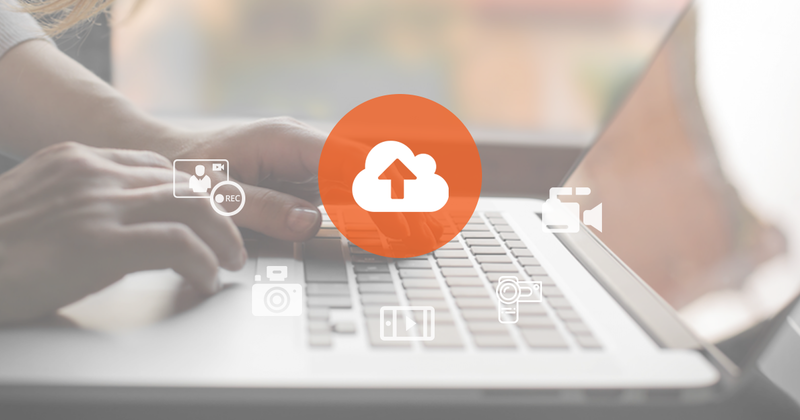 Upload any file size: To promote a variety of video use case, we place no limits on video file size by granting the user flexibility to upload video files as big as 194 GB for as many videos as they need. Fast upload with a highly responsive interface: In a highly efficient video upload and processing system, VIDIZMO supports various video technologies such as multithreading and chunked file upload, which enables fast video upload, resumable uploads, and complete interface responsiveness across the platform during upload. During one or multiple file uploads, a user can continue to browse the platform without any obstructions to platform responsiveness. If you would like to know how VIDIZMO can help your organization solve its video challenges, contact us today or visit our website for details about VIDIZMO video content management solution.